Please hover over images to learn more about our sponsors. "ClearOne is a global company that designs, develops and sells conferencing, collaboration, streaming and digital signage solutions for audio and visual communications." "Vidyo provides the first and only software platform for high-quality video communication on everyday devices and IP networks, with massive scalability at just 10% of the cost of alternatives." "DVE has led the industry in high definition Telepresence, and has delivered numerous Telepresence projects to leading corporations, universities, Hollywood studios, and several Wall Street financial firms." "As a pioneer in the multi-tenanted cloud based videoconferencing sector, FaceMe is at the forefront of collaboration and video communication technology." 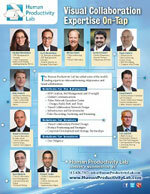 "The Human Productivity Lab team is comprised of eleven consultants with diverse specialties within the fields of videoconferencing, telepresence, robotic telepresence, streaming media, and visual collaboration." "AT&T is bringing it all together for our customers, from revolutionary smartphones to next-generation TV services and sophisticated solutions for multi-national businesses." "AVTEQ manufacturers of a wide range of AV products including mobile carts, fixed stands, and executive conference room and technology furniture." 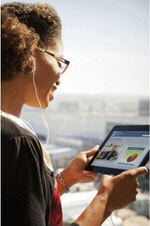 "Blue Jeans Network extends high quality video communications beyond the traditional boundaries of specialized conference rooms and into the mainstream, allowing individuals and employees throughout an enterprise to interact more effectively with each other, and with their customers, partners, suppliers, family, and friends." 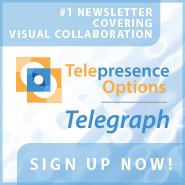 "At Compass Business Solutions we believe that using visual communication technologies should be as easy as speaking face-to-face." "The easiest way to focus your video conferencing and deliver a strong, clear message is to remove background distractions. Draper's Video Conferencing Backgrounds are an elegant and effective method to provide a distraction-free and immersive telepresence. " "Founded in 1994, G2J has become over the years a Global Wholesaler of Cloud Video Services & Video Management Solutions for Telepresence & Video Conferencing End-users." 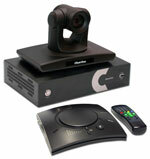 "LifeSize is a pioneer and world leader in high-definition video collaboration. Designed to make video conferencing truly universal, LifeSize's full range of open standards-based endpoints and virtualized video infrastructure solutions offer enterprise-class, IT-friendly technologies that enable genuine human interaction irrespective of distance." Minrray Industry CO., LTD, established in 2002 with a business area of more than 6,000 square meters, specializes in the development, manufacturing, and sale of video conference cameras and CCTV surveillance products. Headquartered in Shenzhen City, with branches in Guangzhou and Beijing. "At Oblong Industries, we believe that work should be more than a one human, one mouse, one screen, one machine experience. Instead, we've created what's next: a fully unified workspace for multiple users, devices, screens, and locations via a groundbreaking spatial interface. This is what Oblong builds. It's why we're here." "Qumu, the world's leading business video platform provider, helps organizations worldwide capture, manage and distribute live and on demand content with total reliability and security." 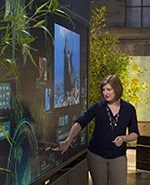 "At Prysm, we design and build video walls. But not just any video walls. Our solutions are beautiful, scalable and interactive as well as energy efficient and eco-friendly. At their foundation is our very own LPD technology (short for Laser Phosphor Display)." "iMatte, Inc team has been innovating visual effects technologies for the Broadcast, Motion Picture and Graphics industries for over three decades." "Teliris delivers cloud video managed services and products designed to drive value across its customers' video estates." 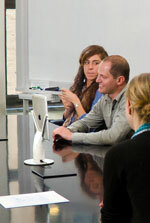 "Vu Telepresence is the full featured, hardware-based HD video conferencing solution. 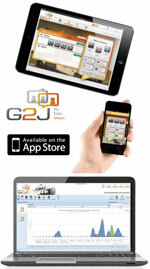 Vu is designed for companies of all sizes, with customers ranging from small startups to large enterprises." "At WOW Vision our mission is to let our customers have the tools and solutions that enable them to overcome the constraints imposed by archaic equipment and cabling in meeting rooms and classrooms, to bring people and ideas together and inspire them to strive for greater height in productivity and breakthrough in innovation." "Founded in 2001, Yealink is the global leading unified communication (UC) terminal solution provider dedicated to innovation. Yealink's One-stop UC Terminal Solutions unify voice, video, and data, and satisfy diverse customer needs and use cases. The company's comprehensive product portfolio includes video conferencing, conference phones, desktop IP phones, wireless DECT phones and accessories." "Founded in the early 1990s, AGT built its success with a passion for video communication, technical innovation and superior customer service. Twenty years later, AGT is a leading provider of managed and cloud video services for global companies and service providers." "Established in 1993 as a non-profit organization and headquartered in Washington, DC, membership in the American Telemedicine Association is open to individuals, healthcare institutions, companies and other organizations with an interest in promoting the deployment of telemedicine throughout the world." "Enterprise Connect provides the leading market and thought leaders, comprehensive analysis, in-depth technical sessions and the largest and broadest exhibition." "EOS Unified Solutions specializes in the complete installation, deployment and support of Immersive TelePresence from Cisco Systems." "The Real-Time Communications Conference and Expo is a globally recognized collaborative event, where industry and academia connect." "InfoComm International is the trade association representing the professional audiovisual and information communications industries worldwide." "From creation to consumption, across multiple platforms and countless nationalities, NAB Show� is home to the solutions that transcend traditional broadcasting and embrace content delivery to new screens in new ways." "Polycom is the global leader in open standards-based unified communications and collaboration (UC&C) solutions for voice and video collaboration, trusted by more than 415,000 customers around the world." 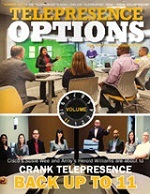 "Empower yourself to see and be seen by everyone in the room with this simple, affordable and effective telepresence solution. KUBI is a desktop tablet stand that helps you look around and physically interact with others remotely through simple web-based motion controls." "The Visual Communications Industry Group (VCI-Group) is an independent organization dedicated to facilitating the exchange of information among its members and to working with vendors to improve multimedia collaboration technologies, applications, products and services." "The VPTZH-01 USB HD PTZ videoconferencing camera is designed to bring you crisp clear HD plug and play video quality through the USB port of your MAC or PC. No need for PCI cards or additional hardware!" "WebRTC Conference and Expo is the opportunity for companies, web application providers, investors and developers to understand the exciting opportunity that WebRTC opens and how it will challenge and change much of today's communications landscape." 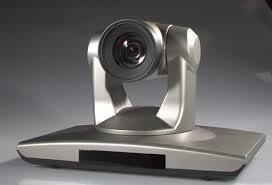 "Yorktel delivers enterprise-grade video conferencing and visual collaboration. Yorktel designs, deploys and manages enterprise-wide video communications systems, and enables customers to seamlessly integrate video into their operations and UCC platforms." "Zoom provides the first Unified Meeting Experience platform that brings HD video conferencing, mobility and web meetings together as a free cloud service." "ZTE is a large-scale international communication enterprise, which ranks number five in the equipment manufacturing industry, number four in the mobile manufacturing industry, and is also an ICT solution customization expert." "XO is among the leading providers of VoIP, SIP Trunking, and Ethernet and MPLS IP-VPN services in the communications industry."